Significant progress has been made in a number of areas outlined in the Accord Action Plan over the last 12 months, primarily in relation to Lake restoration efforts. Lake restoration includes the Hokio Stream and restoration of our fishery. The Lake Accord was supported by the Trust and a majority of beneficial owners many of whom signed the accord document. The Trust at all times has consulted it beneficiary and approached other representative organisations of Muaūpoko e.g. Muaūpoko Tribal Authority, with its intentions. The Trust has also consulted other Iwi/Hapu such as Ngati Pareraukawa who despite having an opposing cultural philosophy is supportive of the Trust restoring the Lake. A significant milestone was reached recently when we were able to secure $1.27 million to kick-start the Lake restoration project. We have ensured that 100% of this funding is applied toward water quality and clean-up projects for Lake Horowhenua. Another significant milestone was the development of the Lake Horowhenua action plan, which was launched on 3 August 2014, a year after the Lake Accord was signed at the marae, Kohuturoa. The Lake Trust continues to develop as we navigate our way forward to deliver on the expectations of the owners and Muaūpoko. 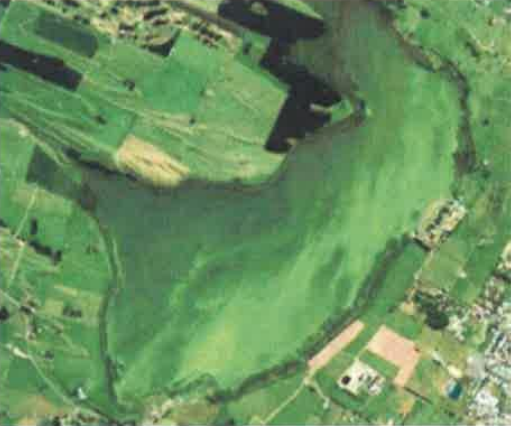 The Trust accepts that it could do better consulting and informing the beneficiaries as we move towards our goals, yet, as stated earlier the Trust has made significant advances in restoring Lake Horowhenua in partnership with the Accord members and under the vision of He Kotuku Rerenga Tahi – Lake Horowhenua Accord. The Lake Accord is the mechanism that the Trust believes is the best way to advance our interests for the clean-up of the Lake. The Lake Horowhenua Accord is more advanced than accords in the past or other accords around the Country. This Accord respects the paramount position of the owners of the Lake who are represented by the Lake Trustees. There is no one-seat – one-vote mentality on the Lake Accord. If the Lake Trust does not agree then it does not happen – simple and consistent with Muaūpoko tikanga. However equally important is that through the Accord partnerships we can access additional resources, capability and capacity including monitoring and robust science input that we do not possess ourselves to assist us in this mission to clean up the Lake. The Accord also ensures that all key partners take responsibility through affirmative action in supporting the restoration of the Lake. We believe the Lake Accord is a better way to start making an immediate difference, and more than words, we are following up with action. The Trust, along with the Accord partners, shifted into another gear in 2014 following the signing of the Accord in August 2013. First we secured $1,270,500 to kick-start the clean-up of our Lake. Some of the projects were already underway at the time. We developed, and consulted owners on, the Lake Accord Action Plan 2014-2016. This consultation involved a series of wananga, hui and information/presentations over that time to beneficiaries and the wider public. The Trust received very positive feedback during consultation held at Kohuturoa Marae and owners reiterated their desire to see something done about the condition of the Lake “once and for all”. The Action Plan identifies eight major projects that we are confident will make a real and measurable difference to the condition of the Lake in a relatively short space of time. These projects on their own will not restore the Lake, but will go a very long way toward halting the immediate causes of much of the pollution today. The main suspects are market gardens and dairy farm run-off that enter through streams and other tributaries, storm water contaminants and prolific weed that release phosphorous when dying off in summer fuelling cyanobacteria and the blue-green algae blooms. One of the key projects also focuses on restoring native fish species currently prevented by the Weir at the Hokio outlet which the Trust is very focused on seeing completed. The Action plan is a two-year plan, and it is simply the beginning; there will need to be greater investment of time, money and other resources to bring the Lake up to an acceptable level and then to ensure it never goes back to where it is today. However the Trust is committed to monitoring the Lake to measure the difference these first interventions we make. Installation of a fish pass alongside the existing weir to allow fish to pass by the structure. This will enable upstream migration of fish species and restore habitat. Installation of the weir will not alter the level of the Lake. Creating a sediment trap before the Arawhata Stream enters the Lake. 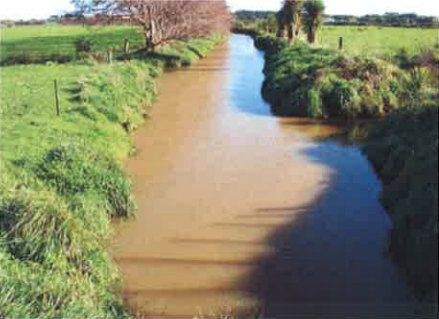 This involves diverting water at times of high flow and flooding into a wetland area designed to capture the sediment before the water is returned to the Arawhata Stream. This is intended to reduce sediment and nutrients entering the Lake, improving water quality and clarity. Harvesting lake weed from the surface of the Lake with a weed harvester. The lake weed will be cut (not fully removed) to minimise the disturbance of the bed sediments. Associated works will include construction of 2 to 3 boat ramps around the Lake edge. Weed harvesting is intended to remove nutrients from the Lake and improve recreational use by reducing weed coverage and cyanobacteria blooms. The Lake Trust’s understanding of the proposed works comes from presentations by yourself, review of draft proposals and its involvement in preparation of the Accord Action Plan. The Lake Trustees, Kohuturoa Maree Trustees and the Muaūpoko Tribal Authority have all provided input into the planning of the activities, resource consent application and tha accidental archaeological protocol. The Lake Trust adopts a holistic approach to the Lake and therefore the location of the works are spatially insignificant. The Lake Trust is primarily concerned with the impact on the Lake as a whole, rather than (generally speaking) the impact on individual sites. This is because in our decision making it was quite clear that the restoration of our Lake is our primary aim and if it requires the modification of spatially small areas then those impacts are considered minor compared to what we will gain in terms of restoration. Further, as you are aware the Lake Trust has been involved in the selection of sites, as well as, where possible, design of the proposed works. 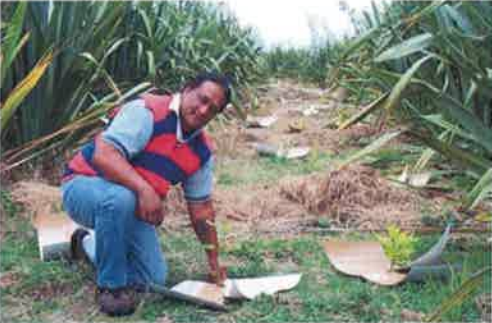 The history of our iwi also shows that sites on and around the Lake have been constantly built and destroyed. There is a history of engineering and modification of our environment to meet the changing needs of our people over time. This is a fact of our continuing occupation of the area and the natural progression of the tribe. Examples of this include the construction of Pa Tuna (Eel Weir) and Tuna Roto (Eel Holding Lagoons) where significant portions of the Hokio stream and adjacent wetlands where blocked or drained to maximise eel fishing to sustain our Iwi. Similarly, Islands were built in the Lake to house Pa or Pataka Kai that required modification of the environment and the bed of the Lake both for construction and access. Drains or stream have also been created to control the flow and flooding of areas the most significant are stream located in the northern sections of the Lake. Tauranga Waka or Waka Landing areas were also constructed with areas of the Lake bed being extracted around these permanent structures. The numbers of Tauranga Waka or these constructions increased over time as settlement and population increased. The reasoning behind many of these modifications was to cater for the aims and objectives of a developing Iwi and to manage the resource sustainably. The current activities with the support of Muaūpoko and the Trust in our view are only an extension of these past activities. The Trust and the Beneficiaries presently have supported a vision to restore the Lake and both are well aware that this will require physical intervention similar to those interventions in the past. The Lake Trust is well aware of past issues with control and use of the Lake and resultant harm. However, it is very much focused on finding solutions to preserve and restore the health and wellbeing of the Lake for the benefit of future generations. Overall the proposed works are seen as a necessary intervention to fulfil the goals of the Iwi which is seen as restoring the Lake to an acceptable standard to Muaūpoko. The Lake Trust was involved in selecting the location of the fish pass. We view the fish pass as being consistent to Muaūpoko tikanga and current expressions of kaitiakitanga. The area being affected was never, in a cultural sense, meant to act as a barrier to fish (or sediment). Instead in the past numerous Pa Tuna existed where Muaūpoko managed the fisheries at that site. The Hokio Stream at that point was never meant to be a straight river course with a concrete wall, it was meant to be a natural flow of water that was coherent with geomorphology of the Dune/Lake environs. In the last ten years we have attempted to recreate that feature by establishing Roto Tuna and the old course of the Stream. We see the development of a fish pass as a natural progression of our vision of that site that also connects to our historical use as Pa Tuna and re-establishing the fisheries of our Lake. The re-establishment of the fisheries also has significant ecological outcomes that contribute to our vision of restoring the Lake. There may be some risk of disturbance to archaeological artefacts but it is believed that this risk is appropriately mitigated through the Accidental Discovery Protocol with Horizons (“Discovery Protocol”), the presence of a Tangata Tiaki (guardians) and on-going consultation with the Lake Trust. Similarly, these steps will ensure that the works are undertaken by Horizons in a culturally appropriate manner. The sediment trap is a very important project from a Lake Trust perspective even though its construction does not directly involve Lake Trust land. The sediment trap provides a Muaūpoko-centric solution of modifying wetlands and the margins of the Lake as part of a number of interventions that will be necessary to help solve the Pakeha problem of horticulture expansion. The Lake is of cultural and spiritual significance as it is recognised as the heart of rohe, catchment and Iwi. Our people have not however been able to use the Lake in a traditional manner as it has been plagued with infestations of (Western/European sourced) pests. The Trust does not envisage that there is a disturbance to the lake bed from the harvesting activity. This ensures that we are undertaking the appropriate intervention for the problem of excessive weed growth. We are also aware that the harvesting is the option with as minimal impact to the Lake environment yet maximum impact in terms of the ecological health of the Lake. In turn it will be a significant contribution to the restoration of the Lake and the current vision of the Trust and its Beneficiaries We accept that construction of the boat ramps will necessitate some dredging of the Lake bed, but see it as necessary to achieve the wider objective of restoring the health of the Lake. The greatest risk is of disturbance of sites or artefacts in the bed near the shoreline but again this can be managed through the Discovery Protocol and the presence of a Tangata Tiaki. 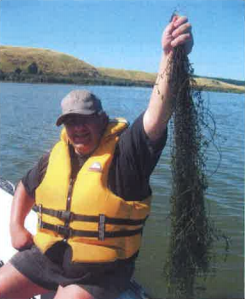 One of the issues preventing use (waka ama, etc) of the Lake is the presence of the weed. The weed is a foreign material that should not be in the Lake and should be removed. The Lake Trust accepts the undertakings by Horizons that its management of the harvester will prevent the introduction of any new weeds to the Lake. Other risks include harm to fisheries and the risk of discharges and spills from the harvester. We believe these can be appropriately mitigated through monitoring and management practices. The Lake Trust has also considered the location of the proposed boat ramps. The site in the area of Lake Domain has always been a waka launching site and was historically used to access the man-made islands, including Marae and other areas. The proposed boat ramp is therefore an extension of its historical and natural use. The second proposed site is on the Procter land. The Procter family has agreed to formalise what was and continues to be a waka and boat launching site of Te Hou Pa. The Procter Whanau are the tangata tiaki (and Kaitiaki) of those areas (Te Hou Pa and Te Hou Tauranga Waka) and continue to maintain and use those areas as they always have. Again it is a natural extension of the sites current use. Any concerns as to the disturbance of archaeological sites (or otherwise) in construction of the ramps can be appropriately managed through the Discovery Protocol and the presence of a Tangata Tiaki. I understand there may be a third boat ramp, although its location is not yet confirmed and the Lake Trust will be invited to comment once more information is provided by Horizons. Overall, the positive effects of the proposed works are believed to outweigh any adverse effects, bearing in mind the mitigation offered by way of the Discovery Protocol, the presence of a Tangata Tiaki, and continuing consultation with the Lake Trust. The Lake will be healthier after the removal of the lake weed. This means it will be closer to its natural state. The proposed sediment trap also plays an important part in restoring the health of the Lake. A healthier Lake reflects better on Muaūpoko, their role as kaitiaki and their mana as an Iwi nationwide. Improved fisheries will contribute to a Mahinga Kai that is once again able to sustain the Iwi and also contribute to improving the ecological health of the Lake. The re-establishment of the native fish will also contribute to restoring the Lake back to a more natural state. Overall, greater use by iwi for cultural, spiritual and recreational activities.